When Llarowe recently announced that she was working on a Tribute to Michael Jackson Collection, I was overjoyed! I am a huge MJ fan, still deeply saddened by his untimely passing and still a huge fan of all of his timeless and incredible music. Superfan? Sure! And I could not wait to see what Leah Ann would create in his honour. The first shade I have for you today is Smooth Criminal, probably my favourite of this collection, and currently my pedi colour because I could not get enough. Smooth Criminal is a complex shade; I consider it a blurple linear holo – a gorgeous mid-tone, cornflower blue with just a hint of purple, greyed out enough to provide a steel-looking finish. It is spectacular!! And the holo is insane!! Even as I waited for the sun to peek out on a cloudy day, the holo blazed on my nails. I used two coats, and this high shine is pre-top coat! I like to play with glitter toppers, so I decided to add a coat of Black or White to Smooth Criminal. Black or White is an aptly-named polish made up of black and white multi-sized circle, hex and bar glitter in a clear base. It is glitter heavy but still requires a good shake to get a good mix of glitter on your nails. I’ll bring you more Tribute to MJ polishes over the coming days! The collection launched on August 17th and is currently mostly sold out, but make sure you head over to Llarowe’s shop for all the restock news! All Colors by Llarowe polishes are 3-free and cruelty free, and come in a 15 ml square bottles with easy-to-open rubber-grip cap. Don’t forget to follow Llarowe on Facebook, Pinterest and on Instagram! Have you snagged any of these Tribute polishes yet? These are gorgeous. The holo is smooth criminal is divine. 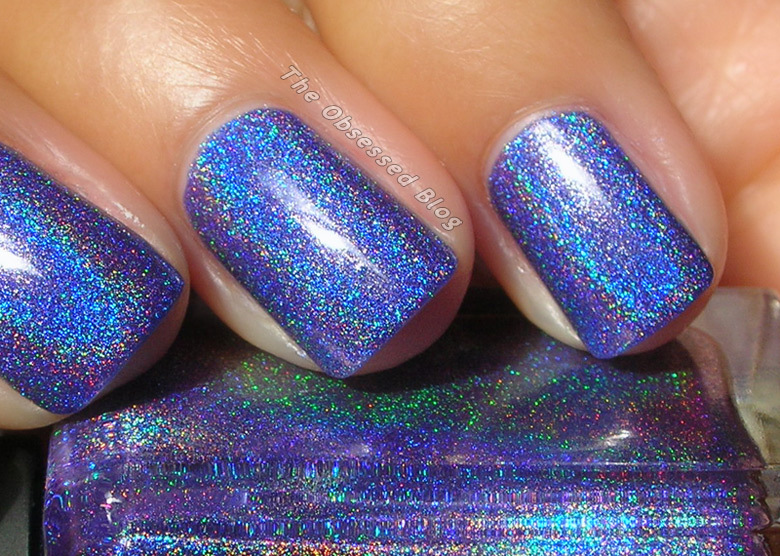 She has outdone herself with the holos in this collection! !